However, this film seeks to satisfy a simple aim by illuminating a work cited by a film. To learn more of it and the artist in question. In short, just a bit more than information the film deems suitable. This series does not occur without Edmond Davis-Quinn‘s poetry. I was reading it and got to thinking about what the last time I read a poem was. I knew it was likely an allusion to one in a film and so this series was born (and it won’t always be poetry but democratically traverse the arts). When thinking of the idea of references to other artforms in films one of the first ideas of poetry in Ivan’s Childhood, Andrey Tarkovsky’s first feature film. There isn’t a direct quotation here but when I revisited this film (I viewing many of his works in hopes of having a better frame of reference for his book Sculpting in Time, which I still need to finish) I read the Criterion booklet and they translated one of Arseny Tarkovsky’s poems for the booklet. In such films as Mirror (1975) and Stalker (1979), Andrei Tarkovsky explicitly references the poetry of his father, Arseny. 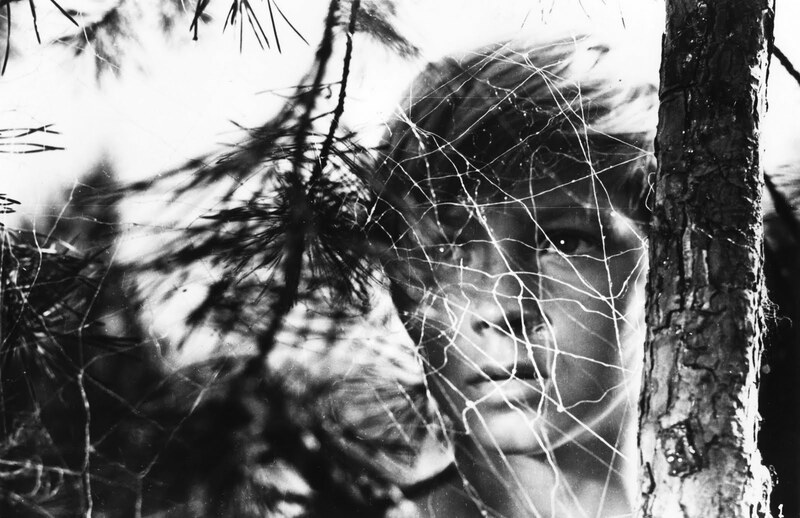 Although no such direct quotation exists in Ivan’s Childhood, there are striking connections between the imagery in the film and his father’s 1958 poem “Ivan’s Willow,” thus distinguishing it as a possible source of influence. It was translated for this release by Robert Bird. Where they grew a willow, no one knew whose. No one knew this was Ivan’s willow tree. Ivan came back to his willow’s shade. Like a white boat, it floats downstream. Not only the images strike one as being similar, but also in referencing his father’s work, at least by inference, Tarkovsky may have by that means made the film more personal. For as cerebral as he was, he was still working from a very personal place and working from a short story, it was key to bring it closer to home. While I came to greatly appreciate the works of Andrei, the works of Arseny were elusive. Now I search and see they are available. Perhaps, I anglicized his name wrong prior. Alas, in this booklet and in Tarkovsky’s films I caught glimpses of another artist, another work of art that intrigued me. Ultimately, that’s the idea of this series: a quick underscore of another work highlighted in a film that’s worth noting. This was the first that came to mind and hopefully more will follow.